Designation Ceremonies . . . at the former home of Gen. Grenville M. Dodge, 605 Third St., will begin at 3 p.m. today when District Judge Folsom Everest will accept a plaque from the United States Department of the Interior, making the home a National Historic Landmark. The ceremony will also trigger a fund-raising drive to raise not less that $30,000 for purchase of the home. 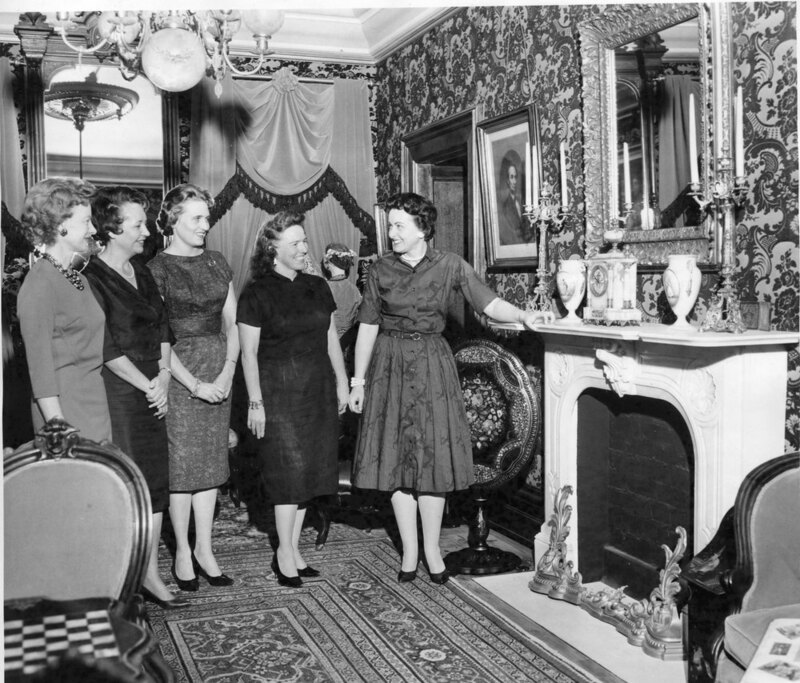 Mrs. John A. Whittaker (right), women's chairman of the drive, shows members of the American Association of University Women one of the Italian marble-topped fireplaces from the home, now in a permanent display at Joslyn Memorial Art Museum in Omaha. The women are from left, Mesdames Carl Blomgren, U. J. Collignon, Kenneth Anderson Jr. and W. E. Wicklund. Women of the Council Bluffs Service League will assist AAUW members in a mail solicitation. It is hoped by the Pottawattamie County Historical Society, sponsors of the project, that articles from the home will eventually be replaced in the restored landmark. Nonpareil photos, “'Raising' An Historical Landmark,” Council Bluffs Public Library, accessed April 21, 2019, https://www.councilbluffslibrary.org/archive/items/show/5026.